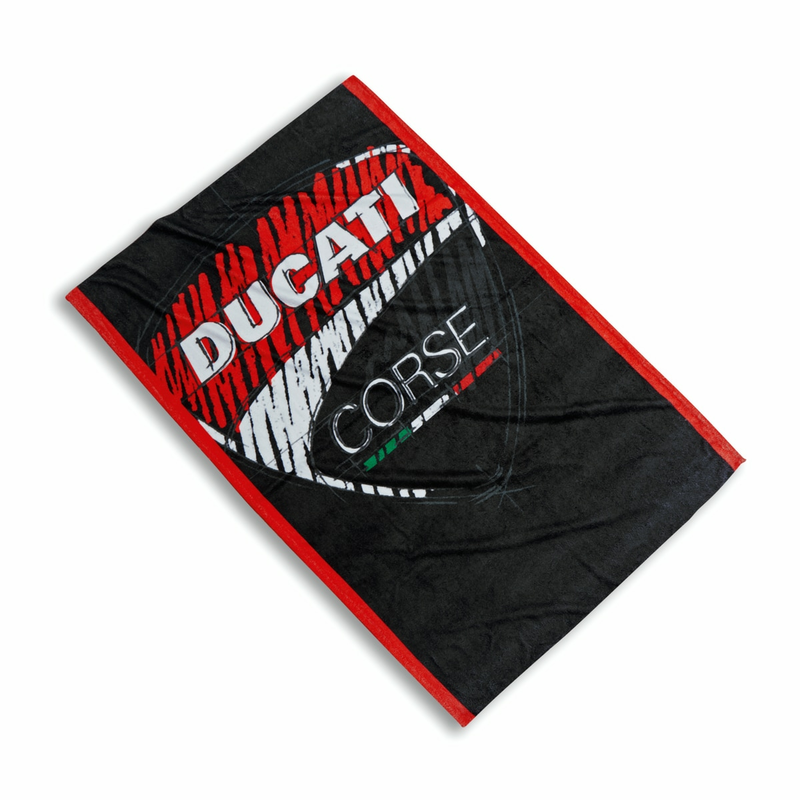 The Ducati Corse Sketch beach towel is the perfect accessory for summer. It is soft thanks to the tip-sheared terry cotton velour with a shiny external effect and has excellent internal drying qualities. Outstanding are the particular graphic design of the shield on a black background with red edging.